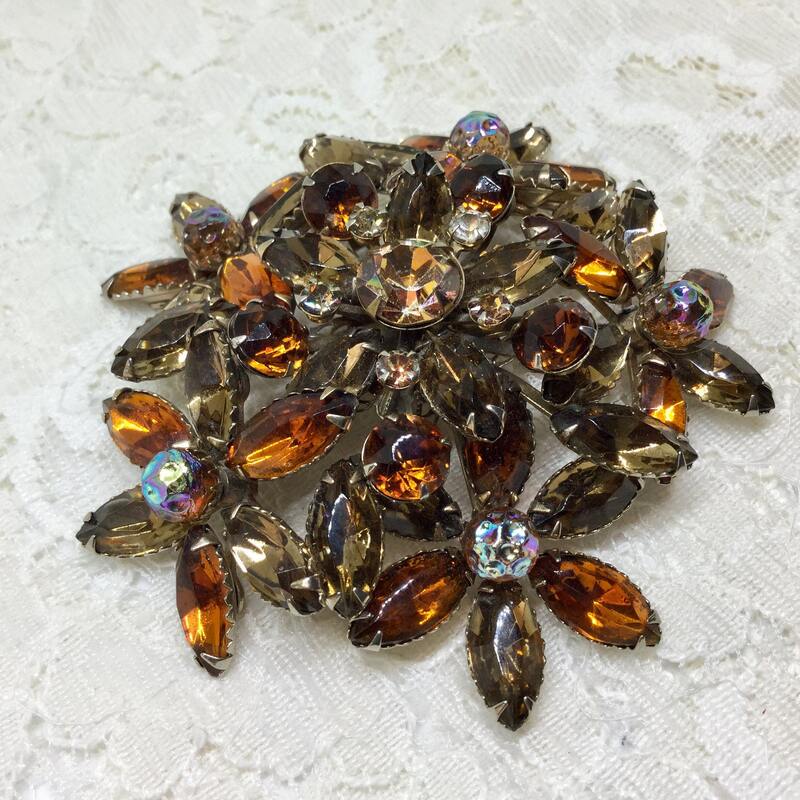 This is an incredibly beautiful very large goldtone shades of amber rhinestones and Art Glass beads flower brooch. There is a large center flower surrounded by five more flowers. The flowers are all shades of amber navette rhinestones. 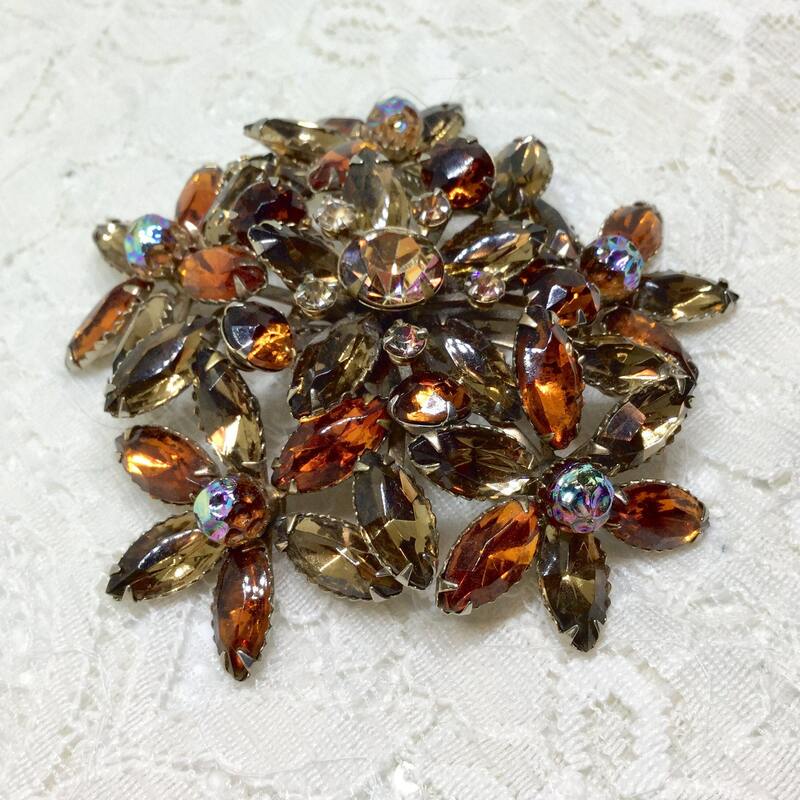 The center flower also has encircling small round rhinestones and larger round rhinestones that are a rich amber color. All of the rhinestones are present and are faceted and prong set. The five outside flowers have an Art Glass bead center that is bumpy with an AB shine. The back has some light wear and shows a filigree base with lots of rivets on the flowers. It measures 3 1/8” in diameter and the pin back is straight and works smoothly and securely. I lightened up the second picture so that you can see the rhinestones and beads better. 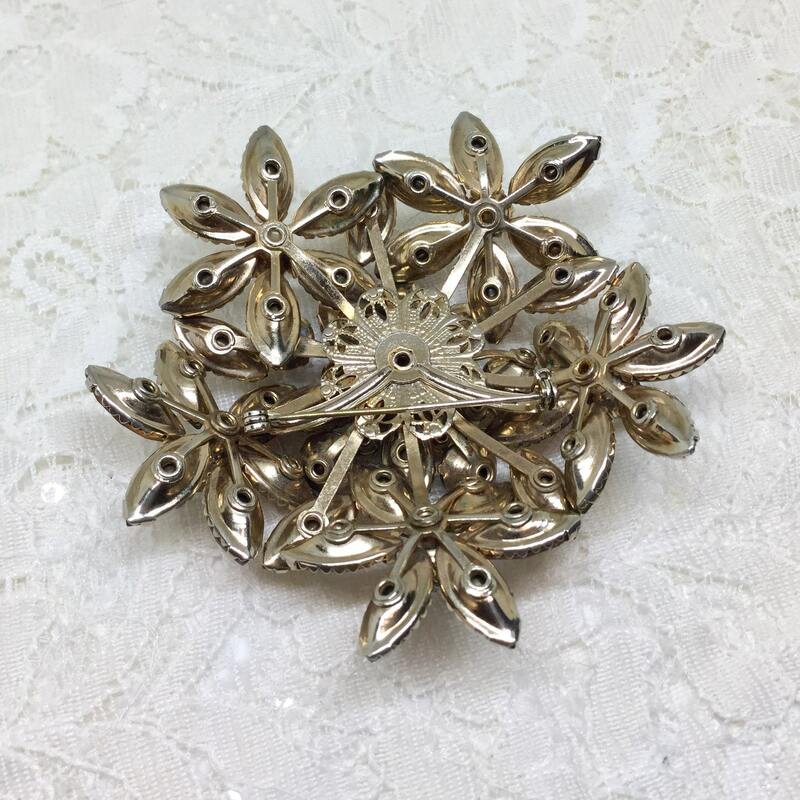 This is a great brooch for a gift or a collection!